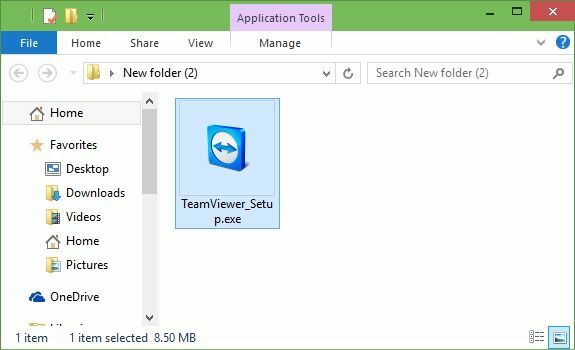 Free TeamViewer download for Windows, TeamViewer run without install, step by step guide on – how to use TeamViewer without installing!! Any Software can’t compete with TeamViewer when it comes to establishing a remote connection between two computers. People always like to use TeamViewer software whenever they need remote support, remote administration and online meetings. The most fascinating feature of Teamviewer software is, it offers the facility to use it without installing. I know, you are shocked to listen this. But it’s true. The developer team of Teamviewer are well familiar with the user’s problem, they know that people always feel hesitation while installing any new software on their PC which they haven’t used before. Step (1): First of all, go to the official page of TeamViewer and download the latest version of TeamViewer software. 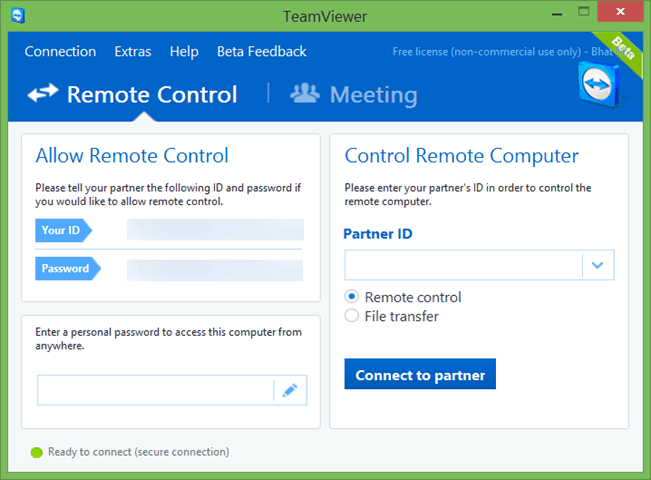 To know in details about the latest version of TeamViewer >>> click here….. Step (2): When download completed, double-click on the setup file of TeamViewer to run the setup. (Please…keep patience, Teamviewer will be not installed on your PC without your permission). Step (4): Now, under the section of How do you want to proceed?, select the option of Run only (one time use). Step (5): From the section of how do you want to use TeamViewer?, select personal /Non-commercial use option and then click on Accept-Run button to run TeamViewer without installing. That’s it! Now you are ready to use TeamViewer on your PC without installing. One thing you need to keep in your mind that you will have to follow these steps (above mentioned) each time whenever you want to run TeamViewer without installation. Fillany! This is just what I was looking for. Is the web connect TeamViewer still available?